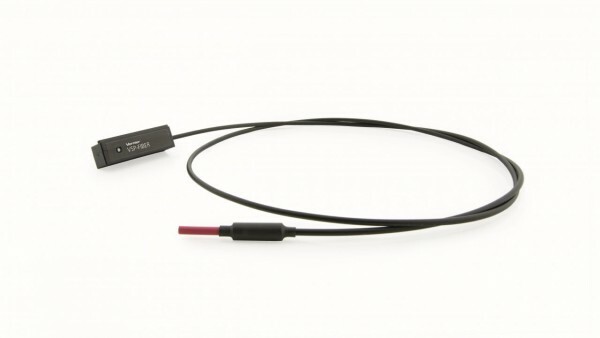 Produktinformationen "Vernier Spectrophotometer Optical Fiber"
This is an optical fiber accessory designed exclusively for emission spectrum experiments with Vernier-branded spectrometers. Simply insert the unit into the cuvette holder and point the tip of the 1 m optical fiber at a light source. The unit is keyed for safety. It has a wavelength range from 350 nm to 900 nm. Weiterführende Links zu "Vernier Spectrophotometer Optical Fiber"
Garantie(Jahre) "Vernier Spectrophotometer Optical Fiber"
Weitere Info "Vernier Spectrophotometer Optical Fiber"
Kundenbewertungen für "Vernier Spectrophotometer Optical Fiber"